Some years ago Chad Kaiser of the US Lighthouse Society ran across a photograph of what was supposed to be the most powerful lighthouse in the world at 1 billion candlepower. Yes, that is billion not million. 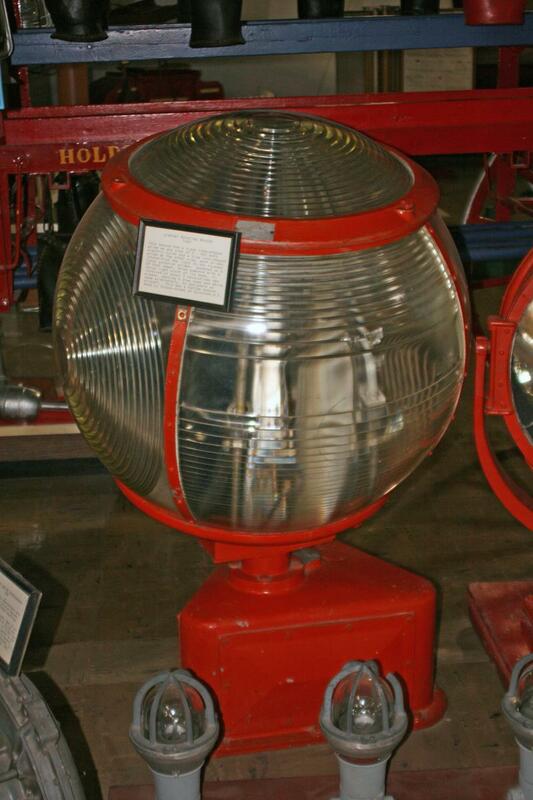 I became intrigued and started researching this light and its history. This story will describe this very unusual lighthouse in France and how it came to be. It is actually not a true lighthouse at all. Instead it is an example of one of the earliest and most powerful Airway Beacons ever built. But, first we need to understand a little more about air travel in those days. In May 1918, the United States Government decided to set up an Air Mail Service. The US Department of Commerce created an Aeronautics Branch and daytime only flights began. By the early 1920s the Department of Commerce decided that the best way to establish nighttime air routes across the country was through the use of lighted airway beacons. 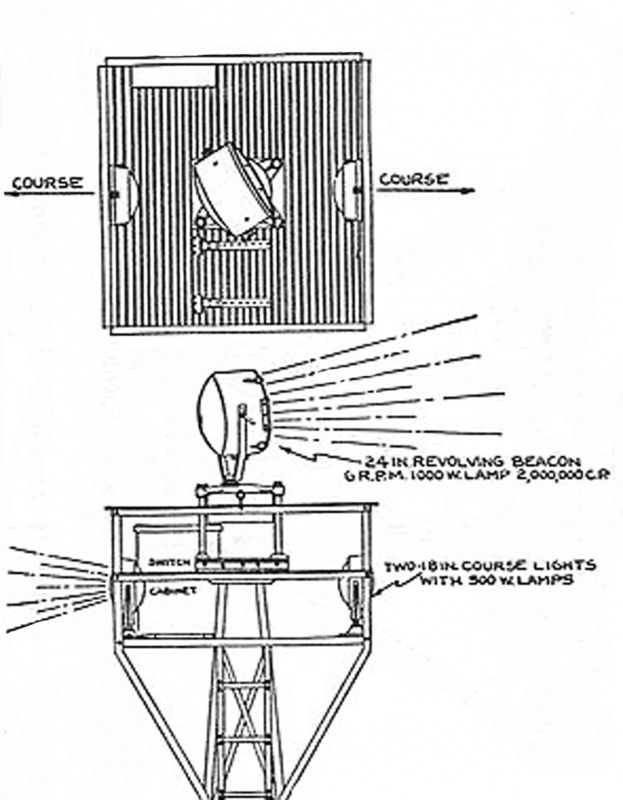 Each airway beacon consisted of a tower that supported a white rotating beacon searchlight with a 1000-watt lamp and a 24-inch diameter mirror. The beam from the airway beacon was a high-intensity beam of light with an approximate 5-degree wide beam width visible for 20 to 40 miles in clear weather. The beam was aimed 1.5° above the horizon. A small percentage of the beacon’s light was also reflected upward to provide close-range visibility. For more on the American air route system see story in Keeper’s Log Vol. 24, No. 4, pp. 14. 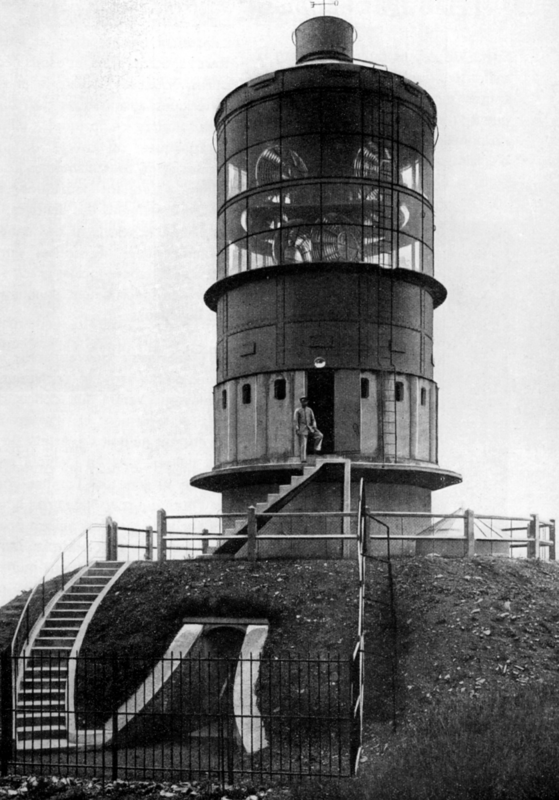 Two course lights were mounted on the tower just below each searchlight; one pointed forward along the airway and the other pointed backward. These 500-watt route lights gave a 15-degree horizontal beam width. The two route lights were red if there were no airfields nearby and green if there was an emergency landing area close by. The first airway beacon was installed in 1923 and soon hundreds could be found across America spaced roughly 10 miles apart. Every third beacon had an emergency landing strip located nearby and the associated green lights. 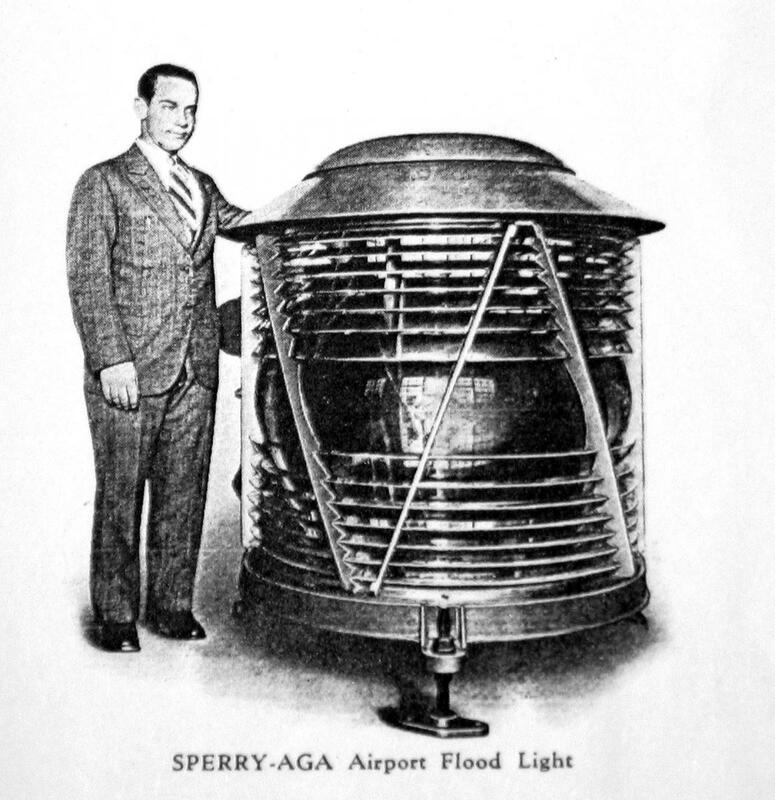 This lighted airway beacon system was used because radio, although already invented, was not yet in use in airplanes and would not come into use for several more years. In France a similar story unfolded as the French Aerial Navigation Service began to design its air routes. The design idea began during World War I when the aircrews returning from night raids above the enemy lines were guided home by powerful searchlights. Then shortly after the War, General Saconney the director for aerial navigation, decided to set up a domestic network of air routes using this light process as a starting point. The idea was to mark out the great routes crossing France in the west, north, and south with airway beacons, placing one approximately every 30 miles (fifty kilometers). These beacons were to be comparable with the lighthouses, which were used along the maritime coasts. There were two main air routes across France in these early days. The main north-south route was from Algiers past Dijon to Paris and northern Europe, while the main east-west route was between London and Paris and on past Dijon to Switzerland and Italy. Being at the crossing of these main air routes, Dijon was logically selected to shelter the most powerful aerial lighthouse of all. Setting in Flavignerot six kilometers to the southwest of Dijon is Mont Afrique, which rises 1936 feet (590 meters) above the plain of the river Saone. Mont Afrique received an aerial lighthouse designed and built by Barbier, Bernard and Turenne. The first and largest beacon on the main east-west route was set up on Mont Valerien located in Suresnes just to the west of Paris on what really is a large hill 540 feet (162 meters) in altitude. Mont Valerien and most other locations across France were equipped with Sautter-Harle searchlight air route beacons. The lighthouse of Mont Afrique began construction at the BBT factory in Paris in late 1918, but was stopped shortly thereafter. In early 1921 it was again placed under construction and was delivered to Mont Afrique in late 1924. It was first lit on Wednesday July 1, 1925, at 10 p.m. In attendance, among others, was Mr. Gaston Gerard, mayor of Dijon. It was one of the first land lighthouses for airplanes, at a time when aerial navigation was still carried out primarily by sight only during the daylight hours. The BBT lighthouse was a 40-foot tall (12 meter) tower; at the top a lantern of glass 18.3 feet (5.5 meters) in diameter by 16.6 feet (5 meters) in height housed the large optical system. The steel tower was supported on a reinforced concrete base. In the drawing above optics 1 and 3 on the upper platform and optics 5 and 7 on the lower platform were directed together to concentrate their total light into a single beam as seen by the pilot. Optics 2 and 4 on the upper platform and optics 6 and 8 on the lower platform, facing in the opposite direction, form a similar light beam 180º opposite. 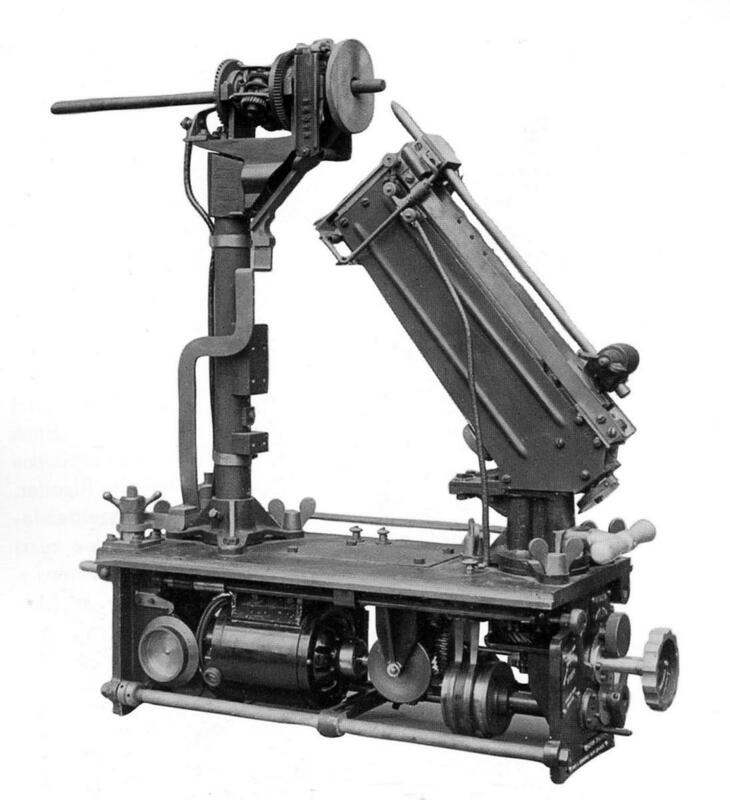 The optical devices were all placed on two rotating platforms where the speed was adjustable between 8 and 20 seconds per revolution, in this manner they could successively illuminate the complete horizon. The spacing of the flashes was variable between 4 and 10 seconds, allowing the characterization of this aerial lighthouse. Located on the floor below the two optical platforms was a service platform where standby arc lamps and a lamp changing mechanism were located. The changing mechanism was comprised of a series of pulleys that allowed a standby lamp to be raised up to the optical platforms and the decommissioned lamp to be lowered for servicing. This service platform also rotated. 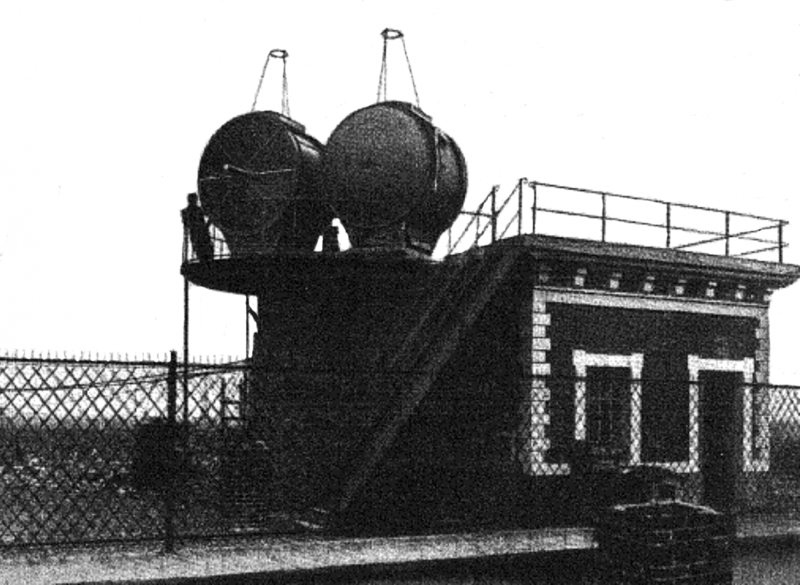 The three rotating platforms were mounted on a central rotating shaft mounted on ball bearings and powered by a large electric motor located below in the generator room in the reinforced concrete base of the lighthouse. Light output depends, on one hand on the brightness of the light source, and on the other of the physical size of the optics. 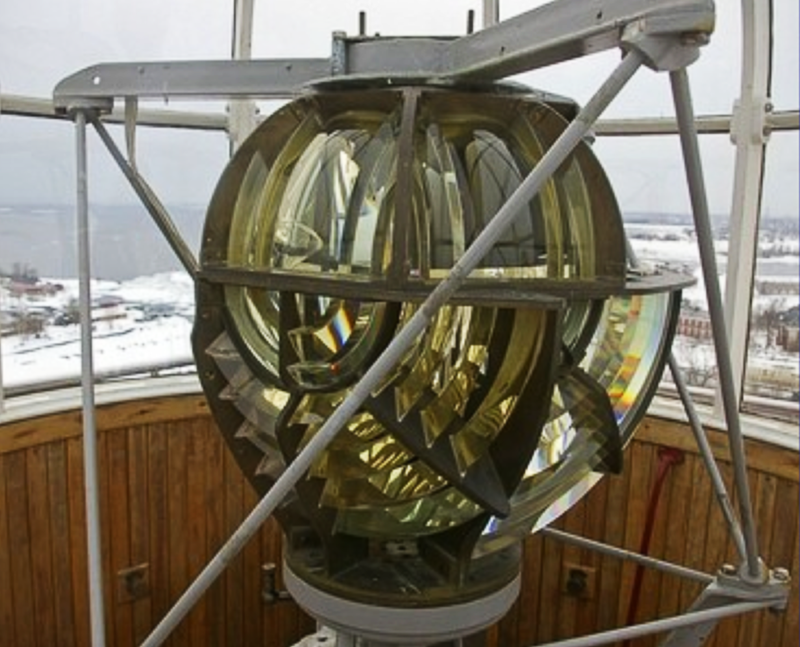 To meet these requirements, this lighthouse utilized electric arc lamps with horizontal carbons and automatic regulation, supplied by a direct current of 120 amperes at 65 volts and had half bi-form 5-foot diameter Fresnel optical lenses of 500 mm focal distance (3rd order). 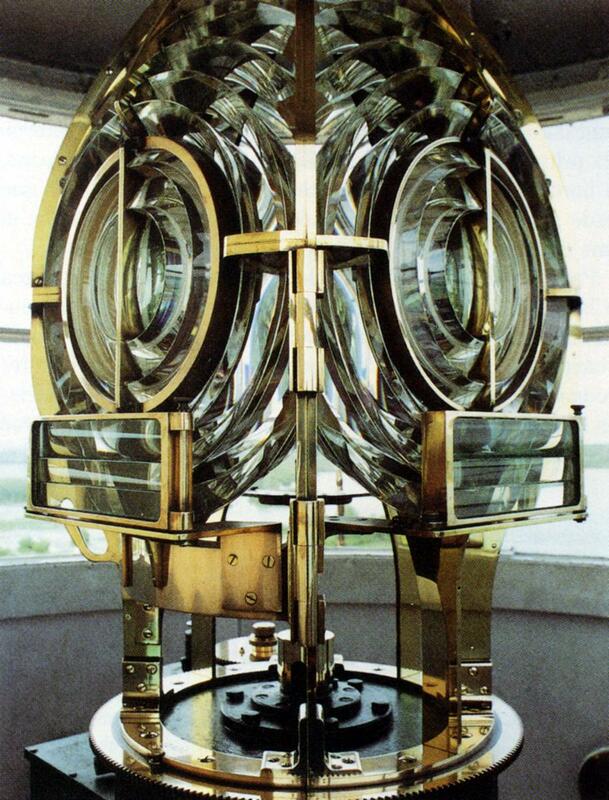 The intensity of the beam of light from four of these optics when placed in parallel could produce up to 550 million candlepower under ideal conditions and the total power of the light produced in both beams was thus given as more than 1 billion candlepower, twenty times more than the average maritime lighthouse! Moreover, the light beams were formed into one vertical axis allowing any aircraft flying between 1,000 and 4,000 meters of altitude to see the bright light beams. The electrical current was supplied by an electrical generator, and backed up by second, both located below the service level platform in the base of the tower. The lighthouse of Mont Afrique was visible in average weather to 90 miles (150 km). But, in very clear weather, its light beam reached out to 210 miles (350 km). It was regarded as the most powerful lighthouse in the world at that time. The lighthouse was in operation from 1925 through 1939. It then went unlit during the World War II, and after the war, the lighthouse was again lit in 1946. But, with the development of radio and radar, it soon became obsolete. It was used until May 15, 1960, and on that date its arc lamps were finally extinguished and the tower was removed soon after. 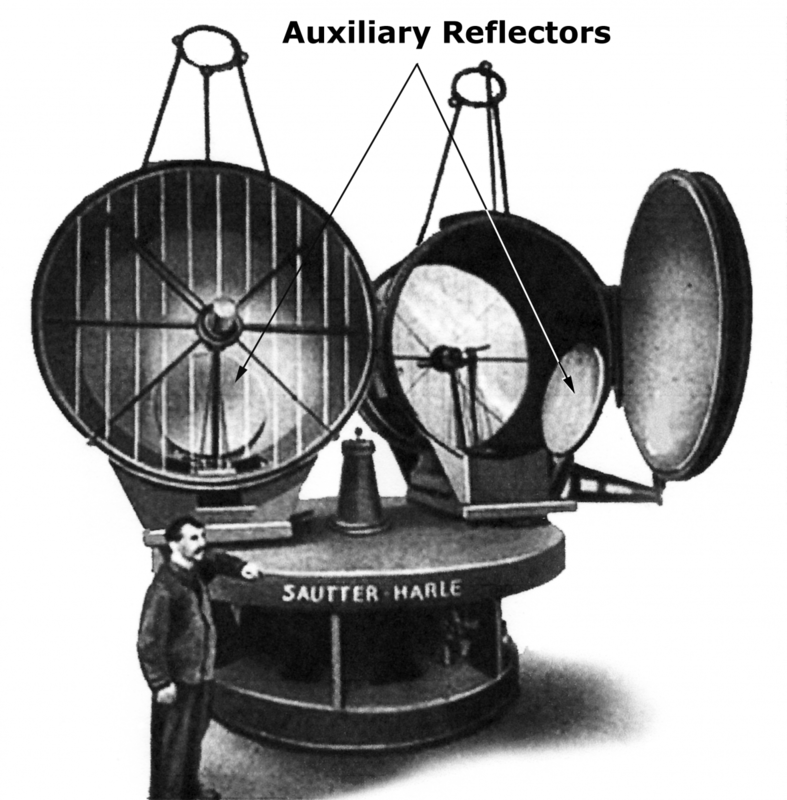 The Air Beacon design of Sautter-Harle was quite different from the lighthouse design of Barbier-Benard and Turenne. The design of Sautter-Harle didn't contain any refractive elements, and was simpler than the lighthouse design of BBT. Sautter-Harle’s design had an assembly of two searchlights to concentrate the light to assure a sufficient range during periods of fog. Each searchlight had a metal reflector mirror 6.5 feet (2 meters) in diameter and of nearly 4 feet (1.15 meters) in focal distance; they were mounted on a pedestal turning around a vertical axis and weighted 10 tons each. The setting of the vertical angle of the searchlights and their speed of rotation were adjustable so that it was possible to obtain groups of two synchronized flashes. A smaller 2.9-foot (.9 meter) diameter auxiliary reflector was placed below the center of the main reflector and was designed to increase the dispersion of the light beam upward giving a wider light beam in the near distances. The combined light beam from the two searchlights produced nearly 800,000 candlepower and had a range of up to 180 miles (300km) in clear weather. One of the most interesting parts of the device, was its light source, it used an arc lamp with a direct current having an automatic adjustment where the voltage was maintained near 70 volts, using an adjustable current that could be stepped from a standard 220 amps to a maximum intensity of 300 amps. This increase in intensity allowed a step of the amount of the current that determined the brightness of the arc and the luminous intensity of the light beam. 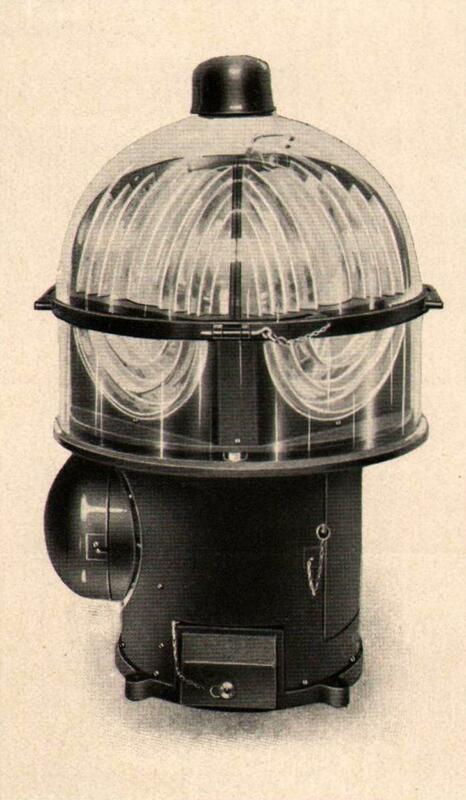 The maximum luminous power of this lamp was actually slightly higher than that of the lighthouse designed by Barbier, Benard and Turenne (BBT), but it is necessary to remember that the searchlight mirrors had a weaker output than the glass optics used in the BBT design, especially after a certain service time (because the mirrors were more sensitive to the effects of the arc and more difficult to maintain in good state) and, on balance the output power was of the same order as that of the lighthouse of BBT. The Sautter-Harle searchlight design remained in use until the German army shut down most sites during World War II. 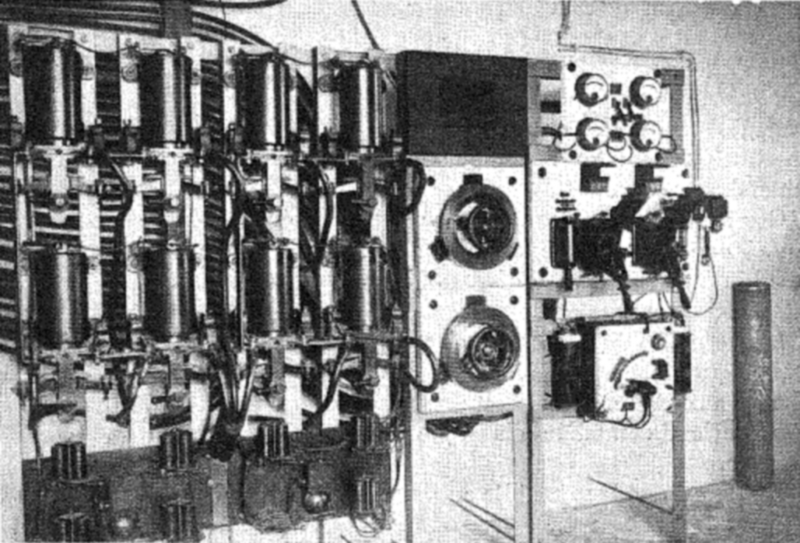 By that time radio had come into significant use and was the standard method used for aerial navigation. What in the world does Charles Lindbergh have to do with this story? Well it happens that Mr. Lindbergh was one of the earliest users of the French air route system. 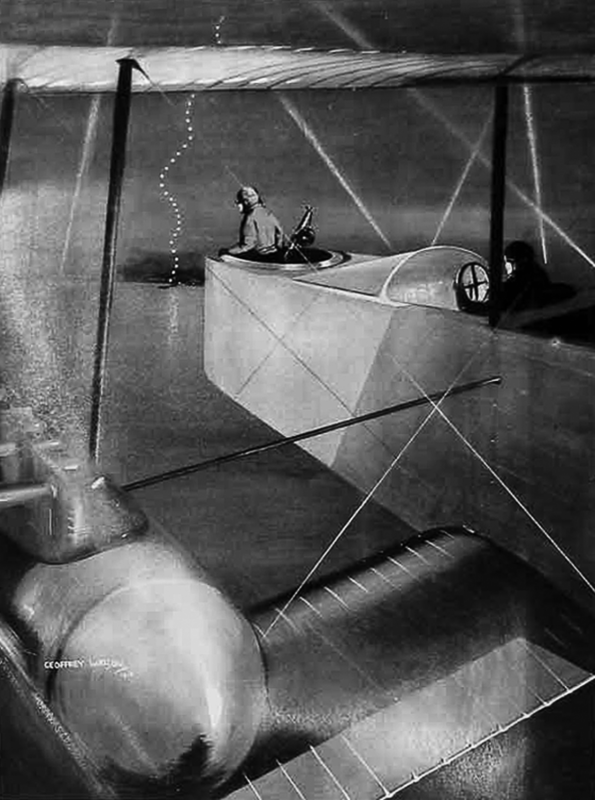 According to Lindbergh’s own quote: “The sun went down shortly after passing Cherbourg and soon the beacons along the Paris-London airway became visible.” A Paris Newspaper was quoted as saying: “Lindbergh did not let his eyes leave his instruments until he saw the first lights along the coast, and the powerful beacon on Mont-Valerian, and finally the lighting of Le Bourget.” So it seems that our Mr. Lindbergh was one of the first users of the Sautter-Harle searchlight system during his famous transatlantic flight. What a small world we live in. There are many styles of Fresnel Lenses used in the Aviation industry. The following photos will give you some idea of the verities.